If you've followed me anywhere on the interwebs for more than 3 minutes, you know....I'm a recovering Army Builder. When I say recovering....I mean, if I could afford it, I would buy 10 of every passable army builder figure I could get my hands on. Hell, I scored a Jurassic Park haul and was compelled to keep it all because I found I now owned 9 or so raptors and 3 T Rex. I..have a problem...and it's a problem Cryptid Toys is about to make significantly worse. Damn enablers. Get ready to build your armies! 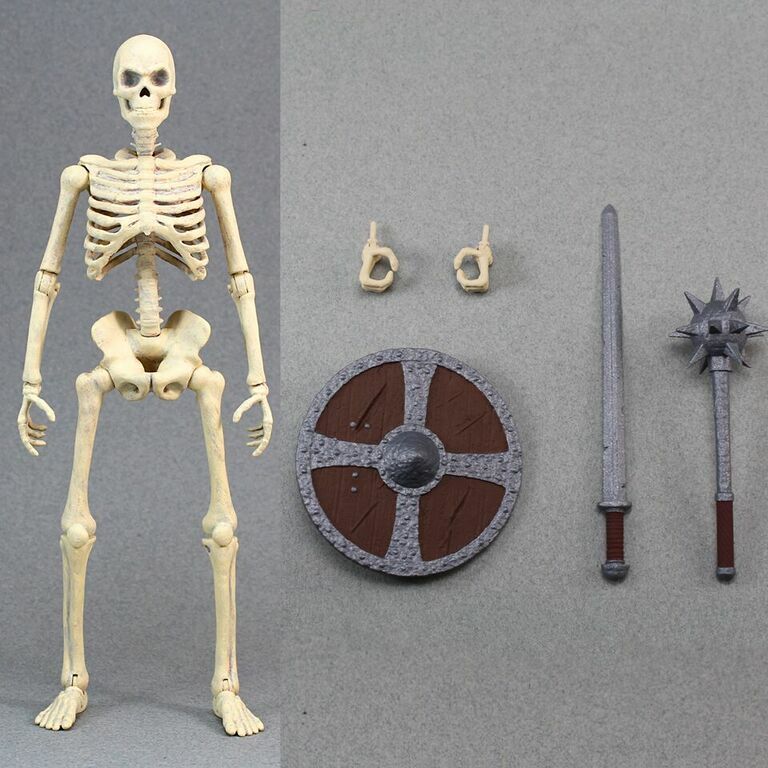 Cryptid Toys would like to launch this line of 6” scale army builders but needs YOUR help. 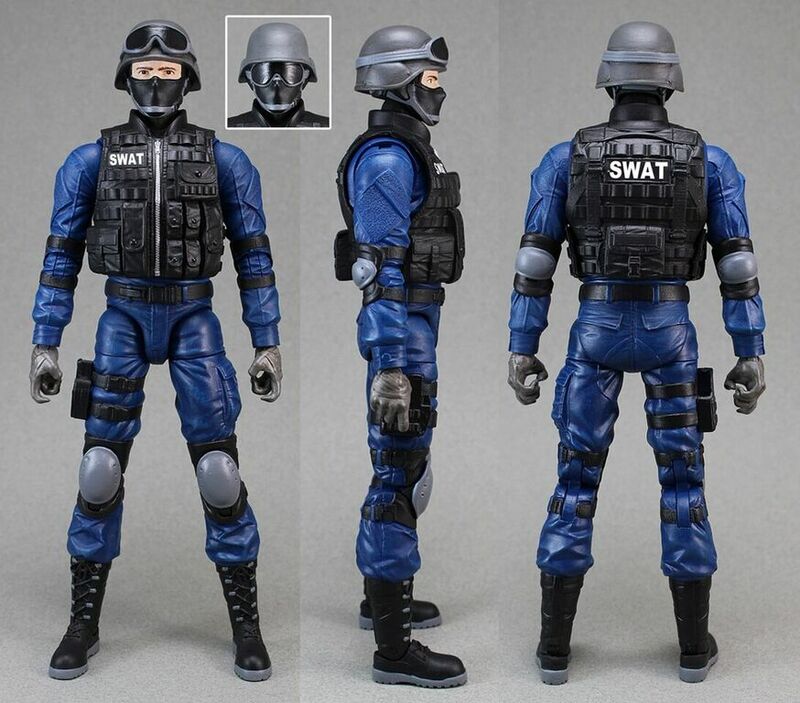 This is your chance to get highly detailed soldiers, SWAT officers, skeletons, and more into your collections! Through this Kickstarter campaign that will run through April 1st, Cryptid Toys is seeking $125,000 in order to produce six different figures. 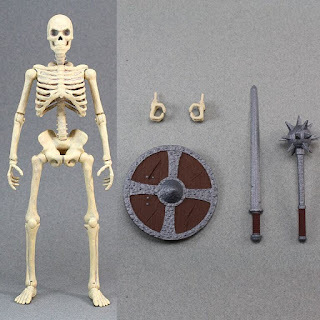 These are the Blue SWAT, Grey SWAT, Desert Soldier, Green Army Man with removable base, Bone Skeleton, and Translucent Glow in the Dark Skeleton. These highly articulated, fully accessorized figures are in scale with Marvel Legends, DCUC, DC Multiverse/Movie Masters, and many other collector lines. 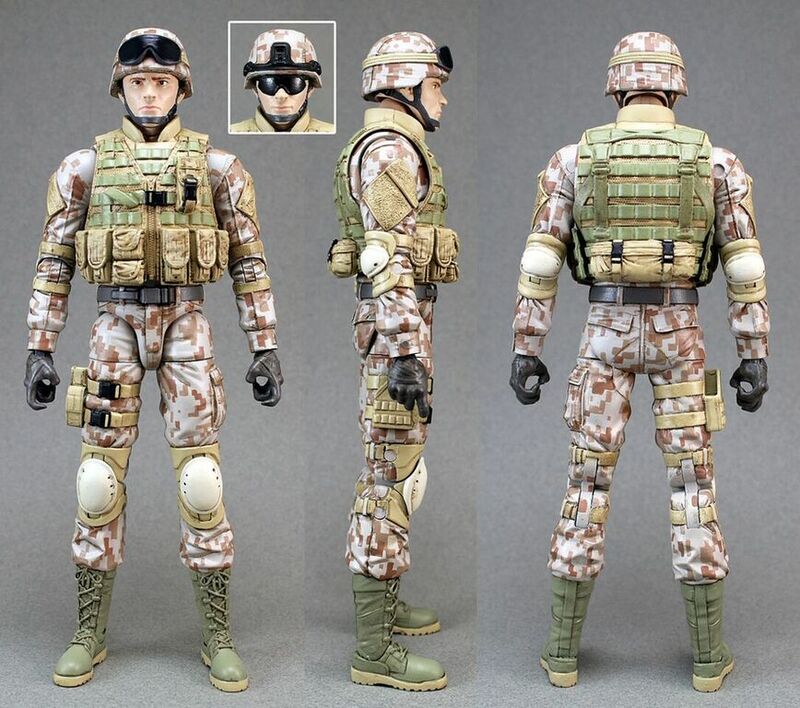 Some parts such as removable vests, removable heads, and weapons will also be compatible across various lines. 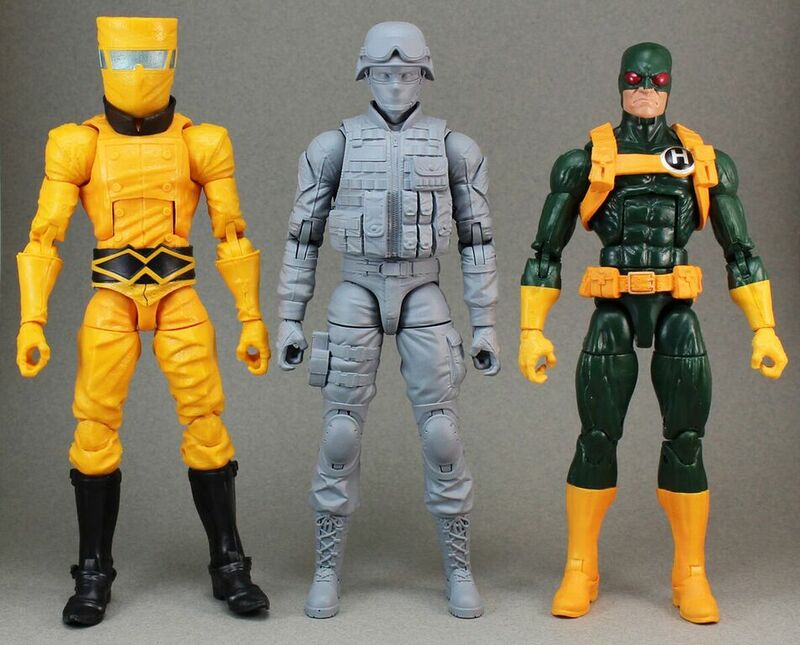 The heads, for instance, fit on the standard size male Marvel Legends body. 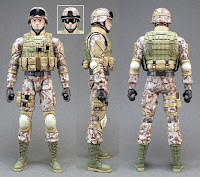 All soldier and SWAT figures have received updates since the fully painted prototypes were made and will now sport additional articulation and an improved sculpt. 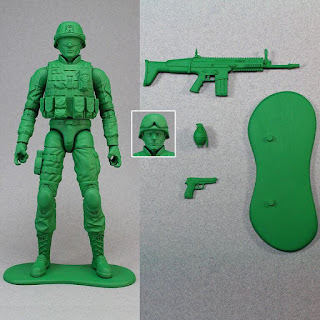 They will now all feature bicep swivels, double hinged elbows, and thicker thighs. Although the fully painted prototypes do not show these changes, the final figures WILL have them. 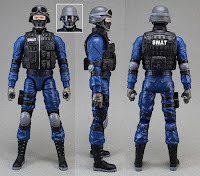 The articulation diagram and grey painted prototype show the current body sculpt that all soldier and SWAT variations will be made on. In addition to the initial six figures, there are several stretch goal items that will be unlocked should the campaign reach each of the indicated amounts. There are more stretch goals prepared than what is currently pictured so there are many more surprises in store. Help get this line of figures made by backing this Kickstarter campaign. 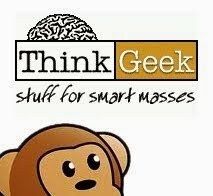 Figures are only $25 each and decrease in price the more you buy! Spread the word by posting on social media and telling your friends. 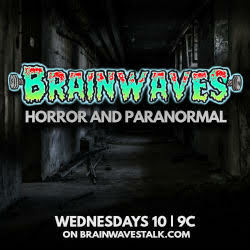 Also follow Cryptid Toys on Facebook, Instagram, and Twitter to stay up to date with the latest info. Cryptid Toys was founded by Austin Gentry, a pop culture and action figure fan, in order to bring figures to market that all types of collectors can enjoy. Working with some of the leaders in the industry, these figures were brought from concept to reality over the course of several months. Hopefully action figure fans from all over the world will embrace this new line of figures and recognize all the hard work that went into it's development.